Every so often, a documentary gains some traction in the mainstream media and catches the public’s attention. Blackfish is the most recent film to do that, backed by CNN and released to a wider audience. 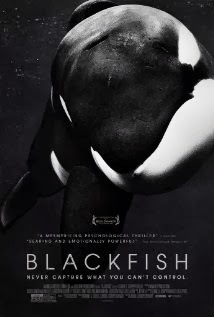 The story of Tilikum, a male orca whale which has been in captivity since 1983 and has been responsible for the death of several trainers, the documentary questions the ramifications of keeping orcas in captivity, and particularly using them for shows at amusement parks such as Sea World. I didn’t expect the film to really be one I would review for this site, but I wanted to watch it to see what all the hype was about. It was definitely worth my time, and for reasons beyond just the specific plight of the orcas. Blackfish begins by explaining the circumstances that led to the Occupational Safety and Health Administration (OSHA) suing Sea World, claiming that training orca/killer whales in such close proximity is inherently dangerous. The suit was brought after the violent death of a trainer at Sea World Orlando, after Tilikum attacked her. It then goes on to explain the history of this particular whale, from it being taken as a baby away from its pod in the wild to its current place at Sea World. His history is a sad one, full of seclusion and isolation. Orcas being highly social creatures, to be ripped away from his mother as a young calf and put with other whales not part of his pod, is difficult enough. Add on top of that years of being penned in small concrete tanks when you are used to swimming freely in the ocean, punished by having your food withheld when you didn’t cooperate and do behaviors on cue. But more than anything, this film made me think about how we look at animals and their treatment in general. Much has been made of artists canceling performances at Sea World parks and people boycotting the parks in general, in protest of the way orcas are treated. But no matter how many videos are shown of the horrific treatment of animals in factory farms, people continue to purchase and consume animals who lived miserable lives full of suffering, in the farthest thing from their natural existence possible. One particularly moving portion of the documentary details the first baby orca born in captivity at Sea World, and how she was removed from her mother to another park. When she was removed, the mother orca stayed in the spot where she was taken and shook, making agonizing vocalizations that experts say were meant to be long-range. She was calling out for her lost calf, which she would never see again. It seems awful, and it is. But this happens every time a calf is taken from its mother cow on factory farms, whether used for veal or sold off to another feedlot. There are documented cases of mother cows bellowing for their lost calves, standing in the spot they were last together, emotionally distraught. But we find this okay. Perhaps it’s because orca whales are honestly beautiful creatures, majestic in size and beyond graceful as they glide through the water. We also give them names and think of them with personalities. I recall my sister and I riding on a rubber, blown-up Shamu whale in our tiny kiddy pool growing up. 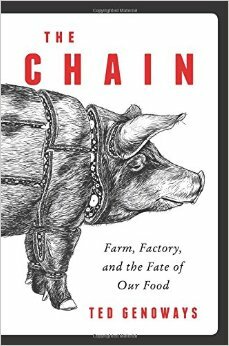 We certainly don’t glorify farm animals in such a way. 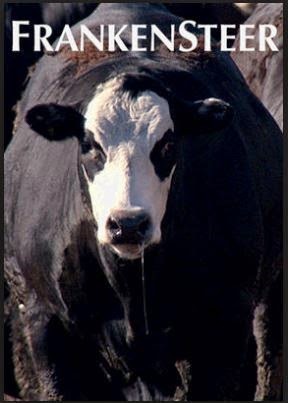 Most people don’t look at a cow in pasture as beautiful, let alone seeing that same animal standing knee deep in waste on an industrial feedlot. Perhaps it’s because it’s much easier to simply boycott Sea World than it is to stop eating factory farmed meat. After all, there are many great places in this country to amuse ourselves or to learn about wildlife in general. And it’s easier to bring out someone’s inner activist when the price isn’t very high and it doesn’t require us to leave our comfort zones. If you have the opportunity, watch Blackfish. It will make you think critically, which is the hallmark of a good documentary. And the actual cinematography is beautiful. But when you watch it, consider if the orcas are so much different at the end of the day than cows, chickens and pigs and whether or not they deserve the same kind of consideration and respect as Shamu.